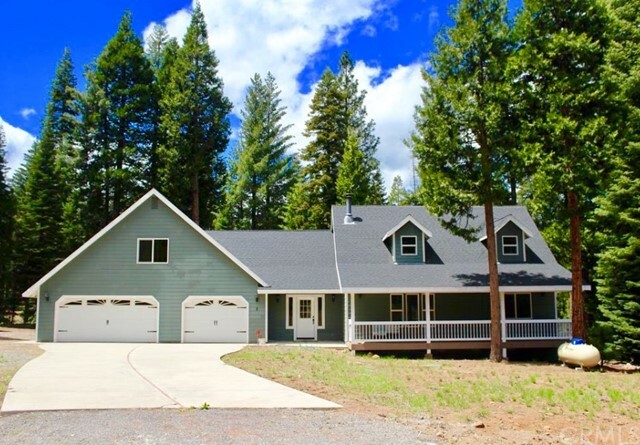 All Lake Almanor homes currently listed for sale in Lake Almanor as of 04/19/2019 are shown below. You can change the search criteria at any time by pressing the 'Change Search' button below. If you have any questions or you would like more information about any Lake Almanor homes for sale or other Lake Almanor real estate, please contact us and one of our knowledgeable Lake Almanor REALTORS® would be pleased to assist you. "Beautiful Custom Ranch style 2 story home sits at the end of a cul-de-sac and is the only house on the street. Large covered entry includes a double door closet and located directly across from the Dining area with Double French Doors. Arched doorway leads to the open area of a tiled kitchen with Stainless steel built in appliances and granite counters over raised panel hardwood kitchen cabinets. The kitchen is open to the living room with high . The stairway leads to the the Master bedroom which includes a walk-in closet and tiled storage closet with tank-less water heater. The Master bath features an enclosed spa tub/shower and double sinks with granite counters over dark wood vanities. Over each sink are separate medicine cabinets. There is even a built in Ironing Board enclosed in a wall cabinet. Check out the bridge walkway that crosses over the living and dining rooms leading to the huge 18' x 25' bonus room with with 2 closets and full bathroom. This extra room is good place for gaming, family room or could be made into another master bedroom. The front and back has long raised covered porches for kicking back and relaxing. Front and back yards have natural landscape with pine trees in the back and lots of chopped wood for the wood stove. Only a few minutes from the lake. Come and enjoy the peacefulness. Owner is will paint, carpet and do repairs but then will increase the price. At his price it will not be done." 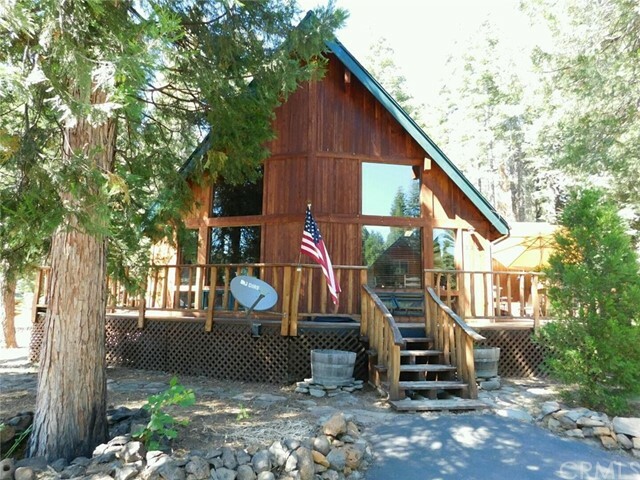 "Beautiful setting and privacy with this Lake Almanor mountain home. 3bdrm, 2ba, 2 story, 1824 sq. ft. with open floor plan, vaulted, open beam ceiling, ceiling fans, beautiful wood detail on door jams and sills. Ceiling to floor windows in great room. Kitchen open to great room with granite counters and wood laminate flooring. Large wrap-around deck in front with private decking in fenced back yard. Beautifully treed circle drive. Detached 2 car garage with bonus room above."